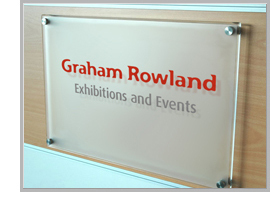 We are Graham Rowland Limited (referred to as â€œweâ€� or â€œusâ€� or â€œourâ€�). We own and operate this website. 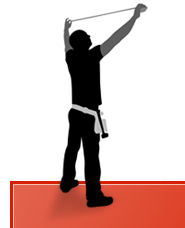 Our full contact details are available on our contact page. Please contact us if you have any questions or feedback about this policy. Information you give us This is information you might choose to give us by filling out forms on our web site and might include things like your name, address, email addresses and telephone numbers etc. Often these forms might also include options to specify your interests, ask questions, make comments or provide other optional information about you relevant to your enquiry. Automatically collected information (web server logs) When you visit our website some anonymous technical information is usually recorded automatically by both your Internet Service Provider (ISP) and the Internet Service Provider (ISP) web server that hosts our website. Examples include the Internet Protocol (IP) Address used to connect your computer to the internet, the time and date of the connection, software information such as browser type and version, type of operating system and platform (e.g. windows, mac or mobile device etc) and the pages visited. This information is not stored or processed by us. Legitimate interests We will process your personal data as necessary for our legitimate interests. Our legitimate interests are balanced against your rights and freedoms and we do not process your personal data if your rights and freedoms outweigh our legitimate interests. Specifically, our legitimate interests are to: facilitate communication between us and you; detect and correct bugs and to improve our website, products, and services; safeguard our IT infrastructure and intellectual property; detect and prevent fraud and other crime (including misappropriation of intellectual property); promote and market our business; check your credit and perform risk assessments; and develop our product and services. To fulfil our obligations to you (under agreement or contract) We process your personal data in order to fulfil our obligations to you pursuant to any agreement or contract with you to deliver our products and services to you. As required by law We may also process your Personal Data when we are required or permitted to by law; to comply with government inspection, audits, and other valid requests from government or other public authorities; to respond to legal process such as subpoenas; or as necessary for us to protect our interests or otherwise pursue our legal rights and remedies (for instance, when necessary to prevent or detect fraud, attacks against our network, or other criminal and tortious activities), defend litigation, and manage complaints or claims. If you have given us your permission we might send you marketing communications, usually by email, to update you about what weâ€™ve been up to and promote products and services that we think will be of interest to you. You have certain rights under applicable data protection laws, including the right to access and update your personal data, restrict how it is used, transfer certain data to another controller, withdraw your consent at any time and the right to have us erase certain personal data about you. You also have the right to complain to a regulatory authority about our processing of your personal data. You can learn more about your rights regarding your personal data from the Information Commissionerâ€™s Office. Should you feel that you have a data protection issue that we cannot resolve and you wish to make a formal complaint to the UK regulator, you can contact the Information Commissionerâ€™s Office. If you have any questions about data protection or how we use your data please contact us. For additional information about your rights under UK data protection laws, please visit the Information Commissionerâ€™s web site.